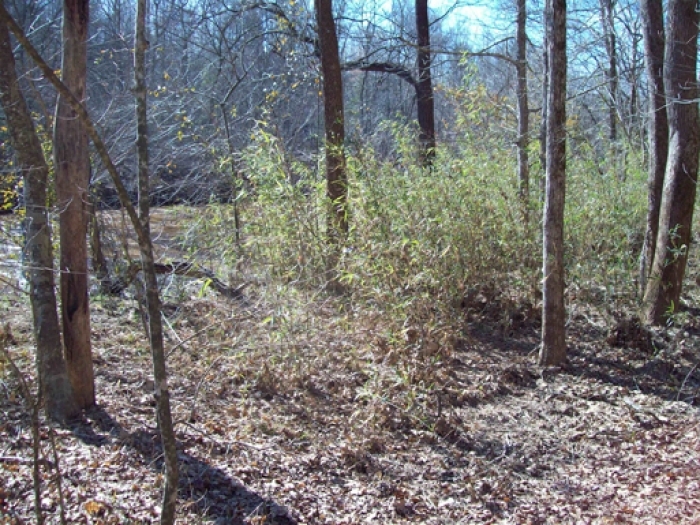 Today, if you were walking through the woods and along a stream bank in North Georgia, this is exactly the River Cane you would see. Many years ago River Cane stands were everywhere and the canes would be tall and sturdy. I look forward to the time when I will be in the wild and actually see a vigorous stand of River Can. In fact a patch of River Cane would be called a “cane break” because it would be so thick that it block the wind and animals. It is amazing how many different ways the Cherokees would use this valuable plant. 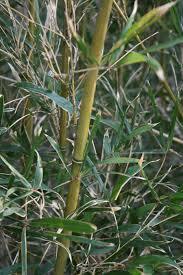 River Cane was also known as cane reed and giant cane bamboo. 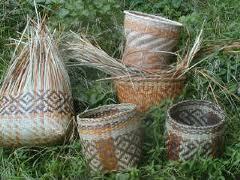 The Cherokee used River Cane to weave baskets and as a component of walls in their homes. The walls were woven with leaves from River Cane and then covered with mud to make a surface that resembled stucco which would keep out rain and wind. The stem shafts were used to make blowguns, arrow shafts, flutes and spears. They would gather young shoots and cook them in stews as herbs. Seeds were also ground to make flour which had multiple uses. River Cane can grow to 12 feet tall and loves full sun. It likes medium water and is evergreen. It is very hardy and can tolerate temperatures to -10 degrees F. In my garden it spreads by colonizing and sending up new shoots.